Basic Training (BT) is one of the fundamental certificates needed for every person who wants to work on ships. It is formerly known as the SOLAS Training or the Basic Safety Training and Instruction (BSTI). If you want to work in tankers, cruise ships, cargo vessels, or any type of vessel, BT with COP is one of your tickets. Much have changed since the Manila 2010 Amendments. The year 2013 was chaos. As we remembered well, almost all our STCW Certificates were getting major overhauls. Rallies in front of MARINA office broke out. The introduction of the Certificate of Proficiency (COP) created confusions too. This left many seafarers frustrated and discombobulated. Basic Training was divided into three separate but identical courses namely the Refresher, Updating and Full Course. The introduction of BT-R, BT-U and BT Full Course caters to different sea service seafarers have. You might get confuse as to which training to take but I’ll explain that below. So Which BT Should You Take? Lately, there have been much confusion about which type of Basic Training to enrol. Choosing between BT-U, BT-R and Full Course can cause us money and time. Because training centers would assume that our previous BT certificate is old thereby pointing us to take the Full Course. In fact, a two-day refresher or updating course may be enough. I already fixed this problem on my previous blog post. In order to get the certificate and COP, seafarers must undertake the competencies stipulated in Section A-VI/1 of the STCW Code. This is the mandatory minimum requirements for familiarization and the basic safety instructions for all seamen. Basic Training is divided into four sub-modules which are listed below. Understanding the basic chemistry of fire. The seafarer must know what to do when discovering smoke or fire. Furthermore, he must show basic knowledge in using the various fire fighting appliances. This is vital since there are different approaches to the different classes of fire. This modules aims for safety awareness among self and other crew. It stresses the importance of cultivating safety culture on board. Moreover, PSSR tackles proper communication, good human relationships and respecting individual rights. PST sets minimum competence for survival training at sea. This module trains seafarers on the proper donning of life jackets, immersion suits and thermal protective aids. He will familiarize the operation of survival crafts and its equipment, location devices and radio equipment. Furthermore, he will learn a particular swimming techniques that prolongs survivability while in the water. As on board accidents can happen anytime and anywhere, seafarers must have the ability to conduct basic first aid while on the scene. He must know what to do when encountering a medical emergency before any professional help arrives. Completing your Basic Safety Course is not enough. Even if you acquire the certificate for this training, you still need to apply for a Certificate of Proficiency in MARINA. COP and Certificate of Completion are completely different documents. You must apply for a COP before you are allowed to work on board. What is a Certificate of Proficiency (COP)? 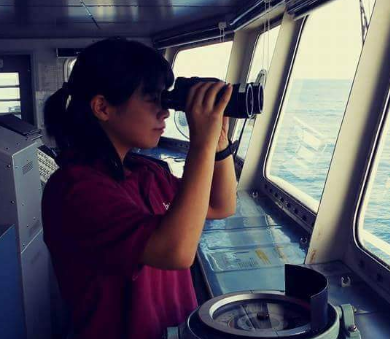 A Certificate of Proficiency or COP means a certificate, other than a certificate of competency, issued to a seafarer under the authority of the Administration. This certificate states that the relevant requirements of training competencies or seagoing service under the STCW Convention have been met. Simply put, a COP is a document that functions as a proof of your competence. MARINA issues this certificate and assures the inspecting authority that the bearer is proficient. STCW Convention appoints the Administration, in our case MARINA, to issue this certificate. Why is the Certificate of Training Completion not enough? This is one question I also asked to instructors and fellow seafarers. When MARINA first introduced the COP, confusion reigned all over the place. Even on board and the VHF. We can’t help but comply (and pay for another training). Again, we felt that training centers are milking our pockets. Here I will explain why Certificate of Proficiency is mandatory. There are lots of training centers from all over the country- and the world. Even though they share the same syllabus for this course, they issue different formats for your certificate. Training centers function as educational ground for practicing the different modules in each course. However, international organizations and maritime inspectors do not recognize them. They were not given that authority according to the agreement. Our Administration, in this case MARINA, assures any inspecting authority that the bearer is competent and trained proficiently. As you have noticed, all our COPs do not indicate any training centers but from MARINA itself. Aside from standardizing the format of all COPs to avoid confusion, this is also a REQUIREMENT of the STCW 2010 Manila Amendments. The Basic Training COP is valid for only 5 years. Therefore, seafarers of all ranks must renew their COP before its expiration. All three are from your training center. Note: Please bring the original documents for verification. Lately, MARINA issued STCW Circular 2018-05 which stipulates rules for RE-VALIDATING your COPs. It focuses more in giving time frames for your sea service experience. More importantly, it sets specific deadlines for filing your Certificate of Proficiency INCLUDING Basic Training. If the applicant for re-validation does not meet the required seagoing service, he must complete in approved course in Basic Training within 6 (six) months before application for re-validation of COP. MARINA STCW Circular 2018-05. Rules in the Issuance and Revalidation of Certificate of Proficiency for Basic Training. Walk-in applicants are still allowed but MARINA encourages all seafarers to secure an online appointment thru MISMO. First, applicants must register in the MARINA Integrated Seafarers Management Online System thru http://stcw.marina.gov.ph/scsv2.0/. Fill out the details needed. If you already have an SCS Account, you can migrate your documents from there to your new MISMO Account. Select the type of certificate that you want to process. Pay the corresponding fee to accredited Bayad Centers. Wait for a confirmation message that you will receive thru SMS. Go to MARINA for the releasing of your COP. Regular Processing – Php200.00. Within 5 working days. Expedite Processing – Php400.00. Within the same day. Did you find this post useful? If you have any questions, feel free to hit the comment below.